The people that keep me most engaged and enthusiastic about knitting (and the occasional dabble with crochet) are other bloggers, so in a way this is a nod to all of the knitting and crocheting bloggers out there, especially those that are taking the time to take part in and enjoy this event. 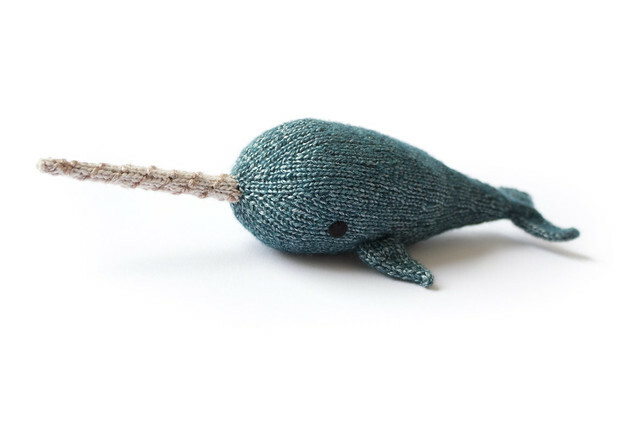 any time I am feeling a bit blue I have a read of a couple of knitting or crochet blogs, and even when I am not feeling very creative myself, I can live my creative life vicariously through them. But I suppose it is a bit of a cop-out to say ‘all bloggers’, and with so many of my favourite blogs having been stopped over the past year (Mooncalf, Mags and many others) and a couple of years ago my favourite blog of all time, that of the lovely Smashing Puffin, who I just want to cuddle endlessly, I am going to go and publicly call out the wonderful JenACKnitwear as one of my knitting heroes. She is a multi-talented, super fantastic amazing person of the highest degree. Writer, designer, creator, all-around wonderful perfect bundle of loveliness, and most importantly, a friend. I don’t have any pictures of Jen’s work to share as she didn’t know I was going to write this, so I haven’t asked for permission to use her images, but that doesn’t matter – go and click that link above and it will take you to her blog, and you can see for yourself. 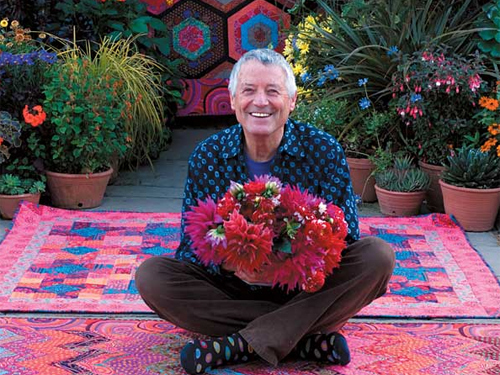 In a completely different way, I am also in awe of another one of my knitting heroes – Kaffe Fassett. Google Kaffe Fassett via the image search and your screen will suddenly be ablaze with colour. Looking through Kaffe Fassett’s designs on Ravelry, I think it is safe to say there are a fair few that I wouldn’t wear (though he has been designing for many years, so some of the garments are simply outdated, fashionable at the time), but his use of colour and motif are awe-inspiring, and I can enjoy that sense of colour in another way thanks to his yarns. 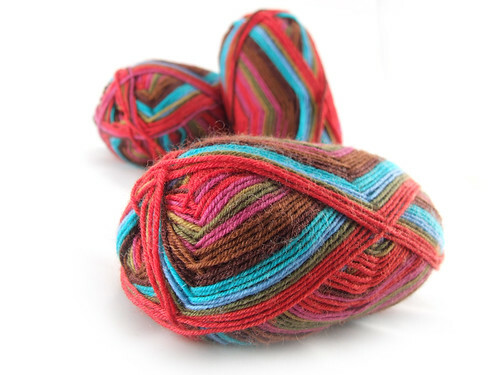 Working with Rowan and Regia, Kaffe has, in the past, produced lines of yarn that allow us all to enjoy a bit of his world of colour, such as this 4-ply sock yarn in the colourway Landscape (fire). I have knit and crocheted with Kaffe Fassett yarns a few times now. Skeins of yarn that take you on a journey through a whirlwind of colour. Some combinations are muted with highlights of rich jewel tones, and others are like a troupe of clowns on a carousel. Kaffe Fassett is a knitting hero of mine because how could you ever feel down for too long when you have something as happy as this on your feet? Thanks, Kaffe. 3KCBWDAY2 – Photography Challenge Day! Feel the same about mooncalf. Haven’t had the opportunity to knit any of kaffe’s works (read: too chicken!) but I love his colors. Glad you’re back to blogging too, Mimi – your absence was definitely felt in my blog stream. Gracious! Thank you so much Mimi! I can’t believe you’ve put me in a post with Kaffe! Funnily enough, if I had had time to blog this week (and I’m gutted I haven’t so far…) then I was going to post about The Color Guys which is a new book from Kaffe and Brandon that I worked on at the start of last year. I did all the colour charts for it, and I had hoped to use it as the basis of my KCBW day 1 post. It will get written eventually! And in the meantime, I’m so flattered that you would make me one of your heroes. Thank you! I love that picture of Kaffe. I used to find inspiration in knitting books and magazines, but now that I have discovered so many amazing blogs, inspiration is just a click away. Good choices! And yes, those are about the happiest socks I’ve ever seen. Beautiful! Thank you for introducing me to this wonder – I had not heard the Kaffe Fassett before now and I am off to investigate further – such lovely inspiration you’ve posted… I can see why he made the list. I’ve been very slowly exposing myself to loud colours via the medium of Kaffe Fassett sock yarns. I think it’s working. I’m with you; bloggers are a great source of inspiration, motivation and cheer. But I like the people you’ve singled out, too. Thanks for introducing me to Kaffe. I was unfamiliar with his work. Love the riot of colors. What fabulous socks! I dream of the day when I might be up to knitting something like this – not quite there yet though! Thank you so very much for this week – it’s proving such fun to write posts for and to read everyone else’s. One thing though, although I’ve put the code in each post title Google search doesn’t seem to list my blog in the list even on the furthest pages away form the beginning. I don’t think I’ve omitted anything vital. Perhaps it’s just the volume of sites. Anyway do let me know if I need to alter anything. Merci pour cette belle dÃ©couverte ! et pour cette semaine trÃ¨s excitante ! Thanks for pointing out this nice blog and wonderful designer! I’m going to check out the patterns! thanx for arranging this blogging contest. Kaffe Fasset is someone I have wanted learn more about. I love the socks. Love those socks! Each post I’ve read today has been so inspiring. Thanks for makin this happen! 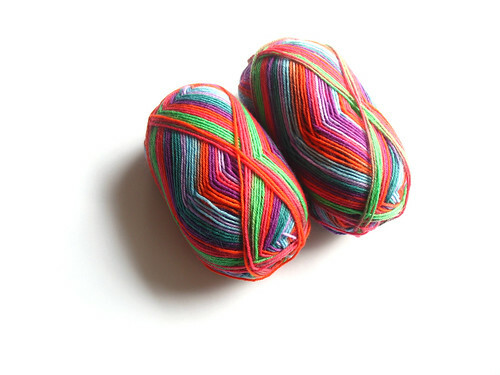 A great rec his sock yarn; I’ll have to hunt some down! I should have known you would pick Kaffe Fassett because of your love of color! Thanks for the intro to JenACKnitwear. You were mentioned in my knitting heroes post today, along with several other bloggers. My gosh that Landscape colourway is gorgeous! Kaffe Fassett is amazing! I still have a copy of Glorious Knitting (bought years ago). I’m a bit rubbish at the old intarsia so it’s more a book to look at than a book to work with for me.